Summer Rental available for first time! 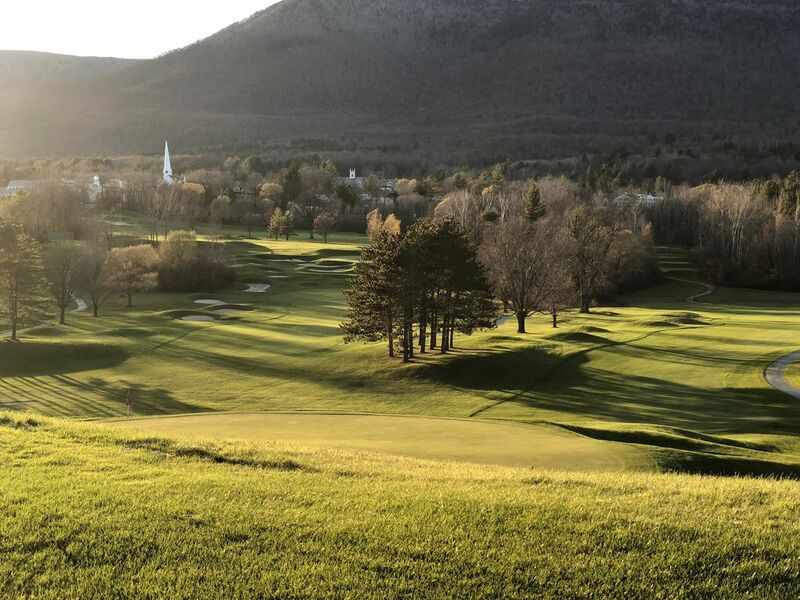 Wonderful luxury condo, 4 bdrm, 3 bath, new furniture, new linens, new kitchen in the prestigious Equinox on the Battenkill near Equinox Hotel, Manchester VT. Propriety located on the Golf Course. Gorgeous open concept living, dining, kitchen with breathtaking views to VT mountains, Spacious corner propriety with tons of privacy. Fully working wood fireplace, 2 decks (from living room/kitchen and bdrm), central air, 2 car parking, garbage/recycling service. Fully finished basement with TV, foosball, wash/dryer. Wifi and Netflix enabled TV. A place for fun and relaxation! Seasonal Rentals, Min 1 month stay. Family from NJ, we love to ski in VT during winters. Recently purchased condo, ready to rent during summers and welcome other families in our Happy Place for some relaxing time in the Green Mountains! Amazing condo location, extremely well maintained common areas. Fully equipped for some relaxing time with little to think about other than enjoy summer time!